Louie is a Pokemon Trainer that battled against Alan's Mega Charizard. He owns a Garchomp that can Mega Evolve into a Mega Garchomp. Remo was sent to an assignment to retrieve a Mega Stone from ancient ruins by an unknown person, but as Alain found it first, Remo challenged him to a battle over the Mega Stone. When Alain accepted his challenge, he introduced himself as a Dragon Trainer, to which Alain responded that his partner, Charizard, is a Dragon type too. Remo pointed out it is amateurish to call Charizard a Dragon type, but Alain simply shrugged this off, saying that Remo was the one being an amateur. After this, both Trainers Mega Evolved their Pokémon and engaged in a fierce battle, which eventually ended in Alain's victory. After winning, Alain told Remo that he should henceforth remember that Mega Charizard X is a Fire/Dragon type. Remo made his main series debut in XY125 to compete in the Lumiose Conference. During the opening reception, he was shown talking with Tomo and Astrid. At the end of the episode he was shown to have won his first battle and advanced to the second round. 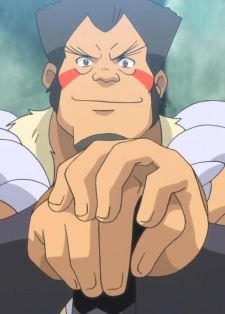 In XY126 he was shown to have made his way to the semi-finals. Later it was revealed that he would battle Alain in that round. He appeared again in XY127, where he lost to Alain, with the latter only needing two of his Pokémon to defeat Remo's full team.